This post has been written by Special Kids all about the senses that children with disabilities develop during playtime. When you think about childhood, you probably think about the nostalgic memories of days spent playing with dolls, building blocks, and jigsaw puzzles. A magical time where your imagination was able to run riot while you developed skills such as problem-solving. For some of us, playtime was likely to be random – no set time, toys, or routine; however, children with disabilities, are likely to prefer structure when playing. Why not set play time aside for your child to fit into their existing routine? 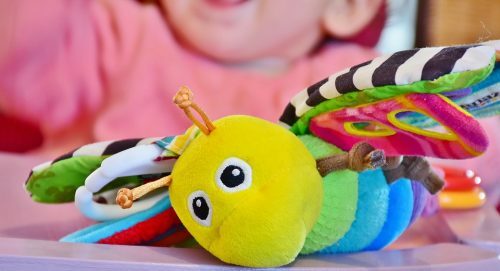 Playtime allows for the exploration and development of the senses; children with disabilities can quickly become overwhelmed by the senses; the structure can help to ease discomfort. sense of the world around them and communicate their understanding of it. Problem solving is a crucial skill to develop throughout childhood and adult life; activities that encourage this skill make it fun and engaging rather than challenging and confusing. Take the classic jigsaw puzzle; all the pieces have to fit a certain way. Although jigsaws are an excellent way to solve a problem, it is useful to play with things such as building blocks too, as this can show your child that there are more ways than one to solve problems as there isn’t always a strict way to build or not to build something. Sound doesn’t have to be overwhelming for children with disabilities; it can be soothing. improving memory by learning a song. developing skill comfy clothing is essential. Think about it, none of us would get into bed wearing uncomfortable clothes such as jeans; we would wear pyjamas, so why should this idea of comfy clothing not be a part of day to day life for your child? Our Wonsie’s and bodysuits are great for playtime – not only are they made with soft, non-irritable material, they are also stretchy so that movement is effortless. We have a range of products for different needs; not only do we stock clothing, we also offer accessories, bibs, and bedding. We believe that quality is paramount. All of our products are designed with care. Since 2014, we have had the fantastic opportunity to be a part of the Kidz Exhibitions. They have created an environment that is both welcoming and supportive. Through their several yearly events, they provide a platform to raise awareness for children with various disabilities, and we are proud to be a part of it. We’ve met so many new people at their events who keep coming back and are pleased to say that we will be exhibiting at Kidz to Adult North this year on Thursday 8th November. And we can’t wait to showcase our new and existing range. We are delighted to have been given the opportunity to guest blog for Kidz to Adultz North. 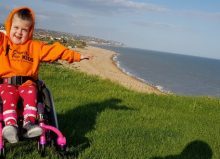 And to say thank you, we invite you to check out our adaptive clothing range and use the code NEWCUST10 for a discount. Why not sign up to our newsletter too for updates and offers.